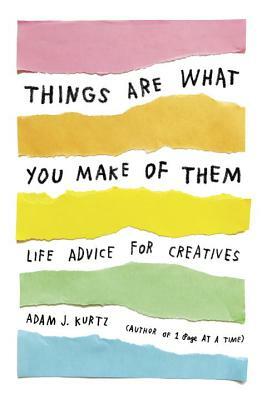 As wry and cheeky as it is empathic and empowering, this deceptively simple, vibrantly full-color book will be a touchstone for writers, artists, entrepreneurs, and anyone else who wants to be more creative--even when it would be easier to give up and act normal. Adam J. Kurtz is a designer, artist and author of 1 Page at a Time and Pick Me Up, which have been published in over a dozen languages each. His “very personal” work for clients like Strand Bookstore and Urban Outfitters has been featured in NYLON, PRINT, VICE, BuzzFeed and more.